Did Brigham Young Reject Lucy Mack Smith’s Book on Joseph? The following article by Scot and Maurine Proctor first appeared on LDSMag.com on February 1, 2017. In this article, published yesterday, we talked about how Lucy’s Preliminary Notes were extensively edited before they became the book we have had for years in the Church. Many readers asked, “Did Brigham Young edit Lucy’s book, and if so why?” Here’s the answer. 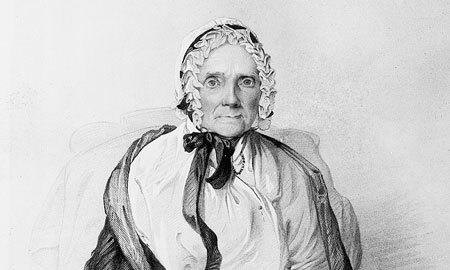 For the most compelling book on Church history you’ll ever find, you need turn no further than Lucy Mack Smith’s own story about her son, Joseph Smith, captured in The Revised and Enhanced History of Joseph Smith by His Mother. If you love Joseph Smith, this is simply a book you can’t miss. It has always been a treasure to us. As we explained in an article yesterday, Lucy told her story to a scribe, young Martha Knowlton Coray, in the bleak winter following her sons’ deaths at Carthage. Then Martha and her husband, Howard, substantially edited Lucy’s raw notes, called the Preliminary Manuscript, into essentially the version that we have had for decades. But you might hear the hesitation in the word “essentially”—because there was a long and somewhat dramatic journey from the Coray’s work to the bookshelf. Though the publishing of Lucy’s book was important—because the clamor to know everything they could about Joseph was great, two other projects consumed the energies and resources of the Saints in 1845. Their enemies had never let off the persecution. They had formed “wolf packs” to hunt the Saints; they had burned homes beyond Nauvoo, sending a flood of refugees into the city; they had harassed the Twelve with lawsuits and now Nauvoo had been turned into a workshop to build wagons to flee the city. Packing to leave everything they owned while they continued to build a temple absorbed the Saints that winter, and Lucy’s manuscript naturally took a backseat. He noted: “The preliminary and finished manuscripts give about 200 names. With the exception of a small percentage of indefinite names, nearly all can be verified, including some spectacular memories clear from her New England childhood. Her percentage on dates is not as good, probably reflecting her interest in people more than calendar years-yet when mistaken, she is typically within a year or two of the precise time. Beyond accuracy, other factors influenced the 1865 recall of the book. Living in a time as we do today when succession in the Church Presidency is calm and orderly, the death of a prophet, signaling a predictable change, it may be difficult to imagine the splintering confusion, and emotion that followed the death of Joseph Smith for the everyday Saint. Claims and counter-claims to the Presidency divided parts of the Church, and though the vast bulk of the members followed Brigham Young, fragmented groups congregated around others like Sidney Rigdon, James Strang, and Lyman Wight. In his last encounter with Joseph in spring 1844, William asked him to give him a city lot in Nauvoo near the temple. Joseph said he would do it with great pleasure if he would build a house and live upon it there, but he would not give him this lot, worth one thousand dollars, to sell. William agreed to the terms, and within hours an application was made by a Mr. Ivins to the recorder to know if that lot was clear and belonged to William, for the Prophet’s brother had sold it to him for five hundred dollars. Joseph, hearing this, directed the clerk not to make the transfer, and William’s last words to Joseph were threatening. After the death of his brothers, a somewhat humbled William petitioned to be ordained the Presiding Patriarch of the Church, a position he had legitimate claim to as the oldest lineal descendant of the Smith family. He was ordained to that position on May 25, 1845, but within a few days, he claimed this gave him the right to succeed Joseph as the leader of the entire Church, and by October 1845, he was excommunicated. An aspiring man has to find a home for his aspirations, and William went looking. Expelled from the Church, he temporarily became a leader with James Strang’s group. Excommunicated there, by 1850 he began teaching that legitimate leadership for the Church had to come from within the Prophet’s immediate family. Since Joseph Smith III was too young, he suggested he should be sustained as president pro tem “guardian of the seed of Joseph,” until the boy came of age. 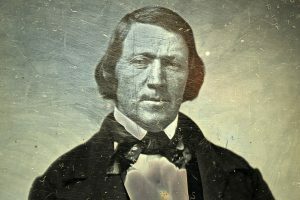 By 1854 he was seeking to be restored to his former position as an Apostle in the Church, and then after 1860, when Joseph Smith III was sustained as president of the Reorganized Church in Plano, Illinois, he hoped to find a high office in the new organization. The version containing George A. and Elias Smith’s revisions lay essentially forgotten until 1901, when the General Board of the Young Men’s Mutual Improvement Association sought to publish it in their monthly magazine, the Improvement Era. President Lorenzo Snow gave his permission as Church President just before he died in October 1901, and the series began in the November 1901 magazine and continued through the next year. Lucy’s grandson Joseph F. Smith, who had become the prophet, wrote a preface for the history: “By the presentation of this work to the public, a worthy record is preserved, and the testimony of a noble and faithful woman-a mother indeed, and heroine in Israel-is perpetuated.“ (14) A new generation who did not face the pressures and dissensions of the old, brought a new outlook to the history. Enoch Bartlett Tripp’s Journal, vol. 1 to December 31, 1844, BYU Special Collections. Richard Lloyd Anderson, “His Mother’s Manuscript: An Intimate View of Joseph Smith,” Brigham Young University Forum address, January 27, 1976. Searle, “Early Mormon Historiography,” pp. 420, 422. Original Source: Article by Scot and Maurine Proctor. Content link: LDSMag.com.